The aged care facility manager has many challenges to meet on a daily basis. They must continue to satisfy their customers by providing high quality care. They also need to ensure kitchen employees handle food products safely and correctly from start to finish. In addition to keeping their customers happy, the facility manager also needs to oversee food costs and keep them in check while maintaining food safety and accreditation standards, which is not always an easy thing to do. Keeping upper management happy by staying within budget and remaining viable and cost-effective is still an important goal. Because of these demands, many aged care facilities continue to remain reactive instead of proactive and do not implement more controls than is necessary to meet government food law requirements and to manage business risk. But the question remains — is this current approach enough to deliver a modern food safety management system? In an outbreak of food poisoning in a North Yorkshire aged care facility the operator of the facility was fined over £20,000 after serving residents contaminated meat pies that resulted in fifteen residents aged between 73 and 100 falling ill. 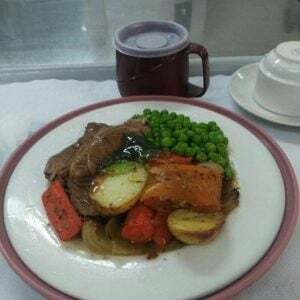 The health authority investigating officers found a lack of food safety controls and poorly trained food handlers when they visited the seventy-six-bed residential care facility. In Court, the lead investigating officer said, ‘The Company had left all responsibility for food safety management to the cooks, with no support, guidance or training provided’. Teesside magistrates court heard that residents had been served pies that had been left over for three days. The heating and cooling process provided ideal conditions for the Clostridium perfringens bacteria to be present (Environmental Health News). The incidence of food-borne illness in Australia in the last few years suggest that more can be done in the aged care sector – outbreaks have been reported in residential aged care and with Meals on Wheels. Some with fatal outcomes. In 2015, there were thirty-one confirmed cases of salmonella and two clients (residents) died in an Aged Care facility in New South Wales. This outbreak occurred across ten facilities of the same organisation (ABC News). As a result of the outbreak, the operator had been forced to defend their food safety standards and food handling procedures. The implementation of HACCP based food safety programs is currently recognised as the most effective way to achieve maximum protection for the consumer from paddock to plate. Aged care facilities have been required to develop and execute a HACCP based food safety program with supporting policies and procedures that will enable them to quickly identify and trace every meal or food product throughout all their processing stages. Some facilities have turned to a generic food safety program template with minimal customisation to their operations. This can put their business operation at risk. In the case of an investigation an aged care facility must be able to quickly show that checks and recording for each step performed for a meal or product. This level of transparency must be available not only within the business but also to health regulators whenever necessary. Issues of risk and limitations with paper-based recording systems have been covered in previous blogs. Aged care facilities that incorporate hygiene into their business strategies and understand The Importance Of Maintaining Hygiene Standards and are familiar with food safety programs are able to comply and manage risk more easily. It is important for the manager to understand the goal of these rules which is to make food safer by ensuring that rigorous standards are met and effectively and consistently executed. There may be complaints that these requirements may cause recruitment, training costs and record keeping costs to increase. The main reason for this argument arises from the concern regarding the need for “highly skilled individuals” within the facility. These individuals will be required to bring a high level of understanding of food safety to their position. It is important for the aged care sector to show that a Food Safety Management System is an investment rather than a cost and any inefficiencies will be within the system that lead to revenue drains and profit losses. A robust food safety management system will help to streamline processes, assist with managing change and automate reporting requirements. Aged care operations will be able to achieve more in less time, with less resources. Automated processes will help your Kitchen operation work smarter, not harder. It can also help reduce or eliminate the cost of negative business activity by minimising food safety incidents and waste. *This year the Australian Aged Care Quality Agency is promoting Food Safety Week, 10-17 November 2018. The theme for Food Safety Week is ‘Food poisoning: take it seriously’. **Cherie Hugo and her dedicated team from the Lantern Project are also seeking ways to raise awareness of food safety issues across residential aged care. Copyright © 2018 to Think ST Solutions. All Rights Reserved ACN 41 139 198 093 Terms & Conditions | Sitemap | Site by Arris Pty Ltd.